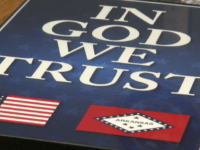 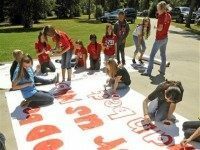 Some Arkansas schools are displaying hundreds of posters of the national motto “In God We Trust” after outside special interest groups claimed that the state is using the posters to endorse Christianity. 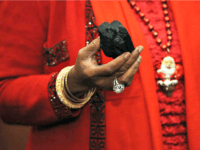 An atheist organization took out an ad in the New York Times to announce it is giving President Donald Trump a “lump of coal” for Christmas for his executive order protecting religious liberty. 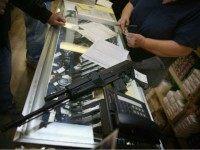 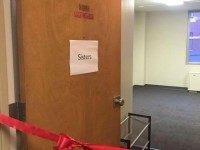 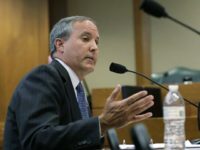 A federal district judge has denied in part the State of Texas’ motion to shutdown a lawsuit by a non-profit. 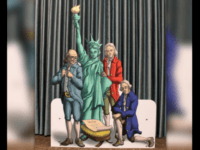 The organization sued after the governor ordered their non-religious version of a nativity scene taken out of the Texas Capitol. 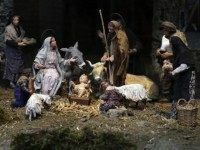 Militant atheists at the Freedom From Religion Foundation (FFRF) are threatening to sue St. Bernard, Ohio, over the city’s Nativity scene — a Christmas display depicting the scene of Jesus’s birth in Bethlehem in the Holy Land. 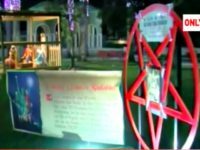 The Texas Attorney General issued an opinion on Monday that concluded a commissioners court may use county funds on holiday lights and decorations. 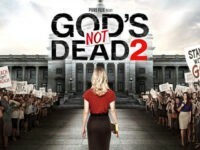 A billboard promoting the faith-based film God’s Not Dead 2 that features a pro-religion slogan has been barred from going up at the Republican National Convention in Cleveland this month. 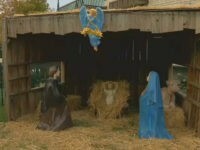 “Jesus Welcomes You To Hawkins,” reads a church’s sign in the city of Hawkins, Texas. 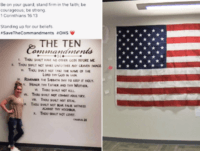 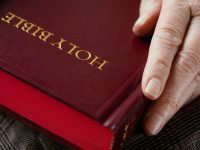 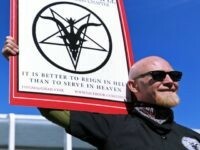 But some atheists don’t appreciate the welcome, so the city is suing the church in order to fend off a lawsuit from the atheists. 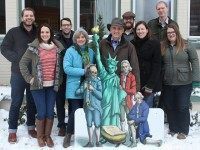 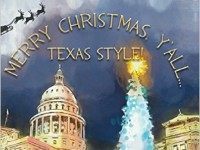 Texas Governor Greg Abbott has sent a letter demanding that a tasteless nativity from a nontheistic foundation be removed immediately from the Texas Capitol building. 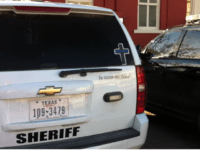 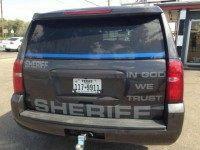 Texas law enforcement divisions display the national motto “In God We Trust” on patrol cars after the Texas attorney general signed off on their doing so. 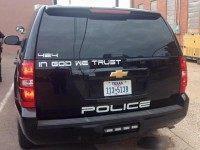 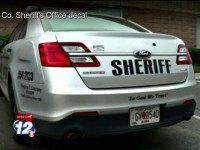 The Freedom From Religion Foundation is targeting a Georgia police officer after he put a decal reading “In God We Trust” on the back of his patrol car. 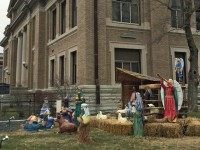 An atheist organization has threatened a lawsuit against an Indiana public school district if it allows the traditional nativity scene at this year’s Christmas concert.